Our iPhone Application Development team innovates with applications that are creative, flexible and have high usability quotient. Software Island with its quality iPhone Programming Developers concentrates on delivering performance based iPhone applications with data and memory management. Software Island provides timely, efficient and affordable iPhone OS Programming Services having gained experience through a variety of challenging iPhone applications done for customers. At Software Island with expert team of iPhone Web Application Development, we are ready to serve businesses by providing iPhone Application Development. Hire our iPhone App Developers who are leveraging our in-house expertise and technology. With sophisticated iPhone Application Development tools, we can create world-class applications and design optimized websites for iPhone. 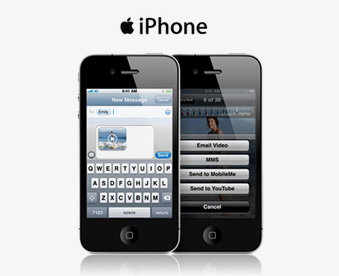 Our iPhone development team is expert in developing the iPhone applications for diversified industry verticals. If you want to develop any outstanding app for iPhone, hire our iPhone App Developers; we assure you to provide the ultra modern iPhone applications with superb quality and great scalability. Our highly skilled iPhone developers are efficient in objective C programming and well versed with Unix environment and Mac OS X. We have developed several small to complex iPhone apps able to run efficiently on iPhone platform.